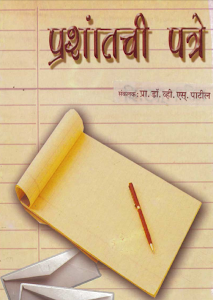 Publishing book in India is not easy task. First thing nobody cares about author unless you are already famous. I tried to publish couple of papa's books but it's tough to get into market if you are new. Publishers will not entertain you or simply ignore you. Very few I have noticed are very good in their evolution process, they have panel and panel will evolute book and give review. If anybody accepts your book, that publisher will take his own time to publish, use low quality standards select papers and most important printing. Even one of my friend duped me for same reason. So after struggling for 3 years, I came to following conclusion..
2. Learn to type-- it's always good to have typed manuscript. We can communicate electronically and easy for proofing. 3. In word, set page set up as landscape, multiple pages option as "Book Fold" since we want book in book format and each A4- page should print proper folded page on other side. 4. Write grammar/spelling correctly at first place. Proof reading is very time consuming. 5. Cover design can easily be done using Photoshop and images from Google. Make sure you provide space for binding area (spine). 6. Export cover page project jpeg once you are finish with cover page design. Print book and see if everything is correct like size of cover page, font selection etc. This copy can be used for physical proof reading and circulating among friends. 7. While you are proof reading you can make synopsis and send it to targeted publishers if any body has any take for book. 8. Even after proof reading you don't get publisher, publishing ourself is not a bad idea. 9. E-publishing is most cost effective, just convert word to pdf file and upload it to sites which host ebook. 10. Other option is going through physical printing processes. 11. Select printing shops. Get quotation for papers, printing. Since papers cost 50% of cost, buying our own paper is not a bad idea. 12. Paper quality is measured in terms of GSM. 70 GSM is good for inner page and 170 GSM for cover page (Info by Mitesh Take). 13. After printing cover page, laminate it so that it will look glossy. 14. Book printing is available in various format but perfect binding is best for book. 15. Selling Skills: This is most important step, try little marketing tricks. If you can afford make a event with some renowned celebrity or start from libraries, provide sample copies at book fair, book store. really good article,especially peanut itsef talk too much on publication..
All your collection on blog is very nice.